It’s impossible to get every last drop out of a bottle, whether it contains ketchup, mustard or jelly.Until now. 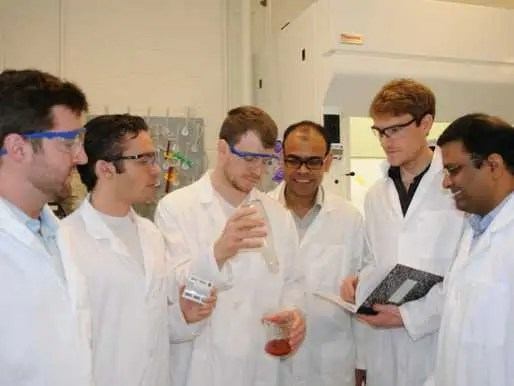 Five MIT students: Dave Smith, Rajeev Dhiman, Adam Paxson, Brian Solomon, and Chris Love, along with their professor, Kripa Varanasi, have made a major breakthrough. Last spring, they invented LiquiGlide, an edible, plant-based coating that can be placed on any surface, from glass to ceramics. Liquid-based products that encounter the surfaces will slip right off, whether it’s ketchup in a bottle or rain on a jacket. The product has been named one of Time’s Best Inventions of 2012 and we’re impressed. It also came in second in MIT’s $100,000 Entrepreneurship Competition. Wow… This is so incredible. Thank you The Innovative Web for sharing this! No one likes having to struggle to get the last of a condiment out of the bottle and now there is a way to remedy the situation! Thanks jennmbrowning. Yes, this technology is incredible! It’s funny how we sometimes don’t realize we need something until we see it. That’s innovation for you! You should also check out the NeverWet tech https://theinnovativeweb.com/2013/10/14/neverwet-liquid-repellent-technology/.